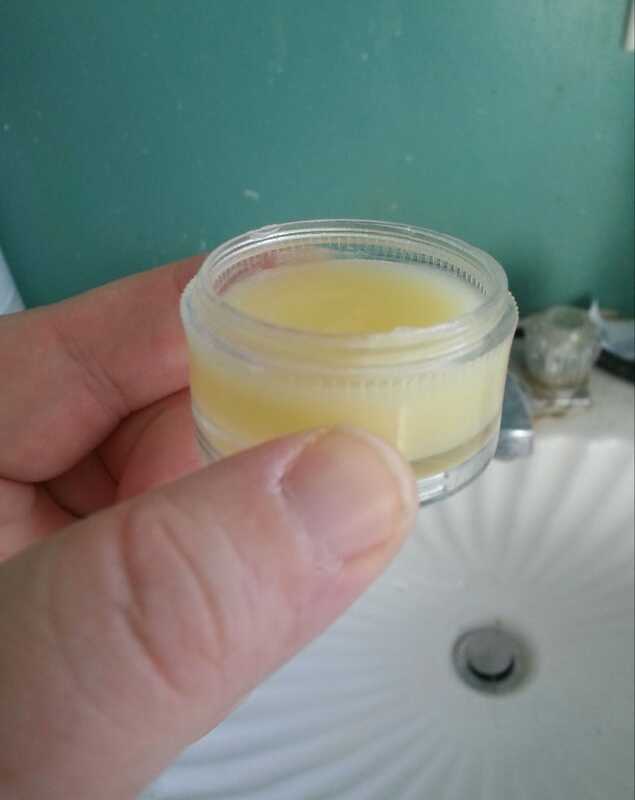 I made lip balm today (because of course I did). It was surprisingly easy as it only has three ingredients: local beeswax, organic coconut oil and vitamin E oil. I wish it had a scent, but that can be easily remedied by adding essential oil next time (I'm thinking mint oil). This was my second foray into skin care stuff as earlier in the year I made plantain skin salve. I didn't ever expect to be into making these kind of things, but I actually kind of love it. It's cool to have a hand in making what I put on my body in addition to what I put in my body (i.e. food). I don't know what I'm going to make next — deodorant? Hand lotion? Glob only knows. Look at what I made! Homemade skin salve!